But the bill wouldn't do that. Instead, it would cement rules making it harder to access certain addiction medications — medications that many patients rely on. The goal was to steer doctors toward a specific brand-name drug: Vivitrol. The drug is a monthly shot used to treat alcohol and opioid addiction and one of a handful of FDA-approved treatments for addiction to opioids such as pain relievers, heroin and fentanyl. State Rep. Steve Davisson, the bill's sponsor, says McCaffrey helped write the bill, one of many related to addiction treatment that McCaffrey has worked on since 2015. But there was something important that Davisson and other lawmakers didn't know about him. State lobbying records show that McCaffrey lobbies for Alkermes, the company that makes Vivitrol. Asked earlier this year whether Indiana lawmakers knew about his lobbying for Alkermes, McCaffrey said, "I imagine some do and some don't." But several lawmakers who have worked closely with McCaffrey, including Davisson, say they were not aware. His efforts have helped turn Indiana into what Alkermes describes in investor documents as an "up-and-coming" state, where the drug's sales are poised to jump dramatically. McCaffrey's work promoting Vivitrol via legislation in Indiana is part of a larger pattern. An investigation by NPR and Side Effects Public Media has found that in statehouses across the country, and in Congress, Alkermes is pushing Vivitrol while contributing to misconceptions and stigma about other medications used to treat opioid addiction. While policymakers are grasping for solutions to the nation's opioid epidemic, Alkermes, which has its U.S. headquarters in Waltham, Mass., is using policy to promote its drug and, in some cases, hamper access to medications that can help. And in so doing, it's looking to turn its drug into a blockbuster. There's growing urgency among state policymakers to fight the addiction epidemic. The number of opioid overdose deaths quadrupled from 1999 to 2015. In that year, an average of 91 people died per day. There are now more deaths from overdoses in the U.S. than from car accidents. Opioids cause most of them. But those looking for large-scale solutions to the crisis must navigate diverging views on treatment, making them receptive to lobbyists who attempt to guide them through medically complex and emotionally charged territory. Among those devoted to helping people addicted to opioids, there are conflicting opinions about the role of medications in recovery. Medical researchers emphasize that the proven standard in addiction treatment includes medication, preferably combined with counseling and other behavioral and social support. The research shows that medication-assisted treatment helps prevent relapse and save lives. The National Institute on Drug Abuse, Substance Abuse Mental Health Services Administration and professional medical organizations all recommend medication-assisted treatment for opioid addiction. But others disagree with the very concept of using medicine to treat addiction. Though this contradicts medical consensus, some, especially those with a background in the 12-step movement, view it as simply trading reliance on one drug for another. Addiction is a moral or spiritual problem to be overcome by willpower or faith, some believe. Medication is a crutch. Two of the medications used to treat opioid addiction receive the most scrutiny, because they're opioids themselves: methadone and buprenorphine, which is known as Suboxone, a brand-name formulation. Both medicines, called opioid-maintenance therapy, reduce cravings and prevent withdrawal, helping people to avoid the harmful behaviors associated with addiction. "If the addiction is the monster, then methadone and Suboxone cage the monster," says Dr. Andy Chambers, an addiction psychiatrist in Indianapolis. In a proper treatment setting, people with an existing tolerance to opioids don't get a feeling of euphoria from opioid maintenance drugs because of how they're formulated and administered. Still, many people, including lawmakers, law enforcement and corrections officials, see lurking risks in any substance with street value — any substance that activates the opioid receptors in the brain. As a result, methadone and buprenorphine are two of the most heavily regulated drugs in America, even more than the highly addictive painkillers that have touched off the addiction crisis. The third medication, Vivitrol, sidesteps much of the debate. Approved to treat opioid addiction in 2010, Vivitrol is a monthly injection of extended-release naltrexone. It is not an opioid. Instead, it blocks opioid receptors in the brain. Vivitrol is effective for some patients, but like the other two medications, it's not the right choice for everyone. For example, it's not ideal for patients who are dealing with chronic pain on top of their addiction, or for pregnant women. It's also more expensive than opioid maintenance — around $1,000 a shot. And it requires patients to stop using opioids and go through a painful detox before they can begin taking it. That thought can deter people from beginning treatment. "The opioids hijack that part of your brain that has to do with survival," says Dr. Camila Arnaudo, an addiction psychiatrist in Bloomington, Ind. "The idea of being off of them ... is tantamount to telling them you're going to take away their food or the air they breathe." Some clinicians are also hesitant to prescribe Vivitrol to patients because of relapse risk. Using opioids again after an extended period of opioid abstinence can increase the risk of overdose and death. That Vivitrol has no street value and no potential for abuse has helped the drug shake some of the skepticism directed toward medication-assisted treatment. For the last several years, the company has marketed the drug heavily to people in the criminal justice system, convincing judges and corrections officials to offer Vivitrol to inmates and parolees. But there hasn't been as much research on Vivitrol's long-term effectiveness compared to methadone and buprenorphine, partly because it's a newer drug. Alkermes is open about its basic strategy — influencing legislators and officials to increase sales of Vivitrol. "We have an entire team of people fanned out across the country working from coast to coast with state and local government officials," said Jeff Harris, the company's government affairs director, at an investor event in September 2016. In a presentation, Harris described Alkermes' lobbying strategy as "ecosystem development" — raising awareness and promoting policies favorable to Vivitrol. Alkermes has poured money into the political process. In 2010 they spent less than $200,000 on federal lobbying; in 2016 they spent $4.4 million, according to data collected by the Center for Responsive Politics. Alkermes has also been spending aggressively at the state level and has been a generous campaign contributor. Harris showed the crowd a map of the U.S. that showed Vivitrol programs in most states; he said sales are increasing because of the company's work. At that event, Alkermes displayed a chart that showed sales of Vivitrol and ranked states on how friendly they are to its product — and how high each state's overdose rate is. The chart shows circles of varying sizes representing the quantity of overdose deaths in state per 100,000 people. Alkermes is a niche player in the pharmaceutical industry, and Vivitrol is central to the company's growth plans. Although the drug was first approved to treat alcohol addiction in 2006, it wasn't until the company began marketing Vivitrol to law enforcement and policymakers that sales took off. Last year, Vivitrol's sales reached $209 million — up from just $30 million in 2011. Some of that money comes directly from the federal and state governments, through Medicaid and other programs that help people pay for addiction treatment. In the presentation, Alkermes said sales could reach $1 billion by 2021. At the 2016 investor event, CEO Richard Pops suggested that among pharmaceutical companies, Alkermes is unique. "We find ourselves really deeply dedicated to bringing in new medicines to patients and profoundly affecting their lives, the lives of their families and even the communities that they live in," he said. But a number of people working in the field of addiction policy are concerned about their tactics. "In a number of states, there has been a significant push by Alkermes and their lobbyists to really squelch other treatment, so that they can get access to bigger markets for their drug," says Dr. Corey Waller, an addiction specialist who heads legislative advocacy for the American Society of Addiction Medicine. Waller says people should be wary of the notion that Vivitrol is better than other drugs to treat opioid addiction. No studies comparing Vivitrol with buprenorphine or methadone have been published. Chambers expressed similar concerns. He says Alkermes operates as though methadone and buprenorphine are competitors, when the drugs are actually meant for different types of patients. "That's really an unfortunate dynamic," he says. "They're not designed to do the same thing. It's like comparing apples and oranges." In a cramped hearing room at the Indiana statehouse in 2015, a week after McCaffrey's testimony in the health committee, the House Committee on Courts and Criminal Code convened to discuss another bill related to addiction — members were preparing to vote on an amendment that would write Vivitrol into state law. "Vivitrol or a similar substance may be required to treat opioid or alcohol addiction as a condition of parole, probation, community corrections, pretrial diversion, or participation in a problem solving court," the bill digest read. McCaffrey didn't testify that day, but he was there, although it wasn't clear whether he was representing Alkermes or his nonprofit, MHAI. When the meeting adjourned after a 12-0 vote in favor of the amendment, the camera and microphones were left on. In the video, McCaffrey pops into view to huddle with lawmakers, including Rep. Ryan Dvorak. Dvorak had raised concerns earlier about the drug's cost and about identifying a brand-name medication in state law. In an interview, Dvorak said that after the vote that day, McCaffrey "was trying to explain why it wouldn't really be that expensive." When McCaffrey testified later in front of a Senate committee, he characterized Vivitrol as the "non-opioid opportunity." The final version of the bill, which passed in April 2015, heeded concerns about using a brand name. 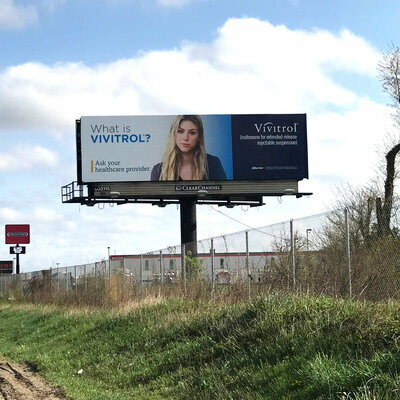 The word "Vivitrol" was replaced with a distinctive phrase: "a federal Food and Drug Administration-approved long acting, nonaddictive medication for the treatment of opioid or alcohol dependence." The effect was the same. The only FDA-approved drug that currently fits that description is Vivitrol. In fact, it echoes language from Vivitrol marketing materials, and the phrase appeared in the bill a dozen times. That language showed up in other bills in 2015 and 2016, essentially writing Vivitrol into sections of state code that deal with criminal justice and the regulation of methadone and buprenorphine treatment. As of 2016, the phrase "nonaddictive medication" appeared in Indiana state code 11 times. And it's not just in Indiana. The word "Vivitrol" or variations of the phrase that refers to Vivitrol appear in more than 70 bills and laws in 15 states, according to a 50-state search of legislation using Bloomberg Government. Addiction treatment experts say the intent is obvious: to encourage the use of Vivitrol over other options. "I think anyone who's willing to put somebody's advertisement in legislation should be ashamed of themselves," says Waller. He worries the phrase could influence decisions made by lawmakers, judges and anyone else who reads or interprets the law. Using "nonaddictive" to describe Vivitrol raises another issue for treatment experts, because it contributes to the widespread confusion between the meanings of addiction and dependence. Addiction, also known as substance use disorder, is "characterized by compulsive drug seeking and use, despite harmful consequences," according to the National Institute on Drug Abuse. But in a treatment setting, buprenorphine and methadone help people avoid those risky behaviors. Patients are dependent on the medications — they would go into withdrawal without them — but that's not the same thing as being addicted to them. Some doctors compare being dependent on buprenorphine to the dependency someone with diabetes has on insulin: It's simply a medication needed to help manage a chronic condition. The use of the term "nonaddictive," both in Alkermes marketing materials and in its lobbying efforts, indirectly disparages other treatments, says Basia Andraka-Christou, a researcher at the Fairbanks School of Public Health in Indianapolis, who studies medication-assisted treatment. "Even using 'nonaddictive' suggests that the other ones are super addictive, even though for most people, they're helpful and not abused," she says. Some of the policies that Alkermes and its lobbyists have supported can have real-world implications for people struggling with addiction. About a year ago, Angela and Nate Turner of Greenwood, Ind., were trying to quit heroin. They each had been injured years before, and doctors prescribed them opioid painkillers. Soon they were making regular trips to various doctors to feed their habit. Later, when doctors stopped filling their prescriptions, the Turners switched to heroin. The overuse of painkillers like OxyContin is often blamed for the scale of the opioid epidemic. Last year, the Centers for Disease Control issued voluntary guidelines for prescribing opioids in response to the crisis, and some states have placed their own limitations on how the drugs are used. The opioids used to treat addiction, however, have always been heavily regulated, and as a result can be hard to come by. Methadone, when prescribed to treat opioid addiction, can be delivered only at specialized clinics. Doctors need a special waiver to prescribe buprenorphine and are limited to treating 100 patients at a time (or 275 for select prescribers who meet special requirements). It's the only prescription opioid with such limitations. And patients who need buprenorphine can face further hurdles. When the Turners decided to stop using heroin, it took them a while to find a doctor. Eventually, they found one who prescribed Suboxone, a brand-name formulation of buprenorphine. But their insurance company made Angela wait three days to get her prescription filled. She spent that time in withdrawal: cold sweats, hot sweats, diarrhea, nausea and body aches. When interviewed by NPR and Side Effects Public Media in 2016, Angela said she was tempted to go back and use, just so she could take care of her daughter. "That sounds bad, [that] you have to use to be a parent," she says. "But it's either that or lay there and not being able to get up and feed your kid and do what you're supposed to be doing, you know?" For Nate, the wait was five days. He relapsed and used heroin. "I couldn't do it no more," he said. "I had to get something." He nearly lost his resolve to quit. The delays the Turners faced were caused by their insurance company, which operates under Indiana's Medicaid program. Before paying for a given drug, insurers can force doctors and nurses to deal with back-and-forth paperwork, phone calls and even faxes. The process is known as prior authorization, and it's the single most significant barrier to prescribing buprenorphine, according to a peer-reviewed study. It can mean a dangerous wait for patients who need the medication. Some insurers and state Medicaid programs have started to eliminate the practice for buprenorphine, to make it easier for patients to get the medication. "That really upset me," said Andraka-Christou when we showed her the bill. "That is pretty explicitly saying that we're going to hamper one medication moreso than the other." Buprenorphine treatment providers can already be hard to find, especially for patients in rural areas. Many doctors with the waiver to prescribe buprenorphine don't make use of it, and those who do often prescribe far below the 100-patient cap. Even if every doctor with a waiver reached the limit of 100 patients, they would treat fewer than half of all Americans suffering from addiction. Despite these circumstances, Alkermes has pushed for increased regulations on buprenorphine. For example, under a law recently passed in Ohio, doctors treating more than 30 patients with buprenorphine must now apply for a special license from the pharmacy board which adds new rules and a significant administrative burden to how they run their practice. Lobbyists for Alkermes "applauded the bill," says the bill's author, state. Sen. John Eklund. "Their interest was in, is there anything they can do because Suboxone had such a toehold here in the state of Ohio, and they're looking to expand their business." Doctors are worried that these regulations could cause some smaller medical practices to simply give up on prescribing buprenorphine, or to never start — they might instead turn to Vivitrol as the option instead of dealing with these regulations. "It might increase that pressure," says Dr. Shawn Ryan, an addiction specialist and president of the Ohio Society of Addiction Medicine. Alkermes tried a similar approach at the federal level, too. Leading up to the passage of the Comprehensive Addiction and Recovery Act in 2016, the company sought increased federal regulation of buprenorphine. "This is one of the most intense behind-the-scenes lobbying efforts," said a Democratic congressional staffer, who was not authorized to speak on the record. "It frustrated me to no end for 2 1/2, three years." The company circulated a document, obtained by NPR and Side Effects, that presented slanted material about buprenorphine, focused on the drug's potential for diversion and abuse while largely ignoring its benefits for individuals and for public health. "This is basically a very long attempt to bash buprenorphine," said Andraka-Christou when we showed her the documents. A spokesperson for Alkermes, Matthew Henson, acknowledged in a phone interview that the company circulated the white paper, which he described as a "working document" meant to educate federal lawmakers about medication-assisted treatment options. The document doesn't mention Vivitrol. Asked why Alkermes was circulating a document focused on a medication it doesn't manufacture, Henson said he would get back to us. He never did. As lawmakers sought to expand access to treatment, the white paper called for stricter regulation of buprenorphine through a bill dubbed the Opioid Addiction Treatment Modernization Act, introduced in the House in June 2015. "The legislation they wanted introduced was actually going the other direction, in terms of making it more onerous to be a doctor wanting to prescribe these medications, and would have hurt treatment capacity in this country," says the staffer. That bill died, but the staffer says the company still influenced the way some federal lawmakers speak about opioid maintenance. "This is government-supported addiction. It is not moving people to sobriety," said Republican Rep. Tim Murphy, in a subcommittee meeting in March 2015, referring to buprenorphine and methadone. The staffer says they often heard Alkermes lobbyists disparage opioid maintenance therapy using the same language. Murphy has received campaign donations from Alkermes, according to the Center for Responsive Politics. "A common misconception associated with [medication-assisted treatment] is that it substitutes one drug for another. Instead, these medications relieve the withdrawal symptoms and psychological cravings that cause chemical imbalances in the body." He made the remarks not long after touring an Alkermes plant with CEO Pops. In its quest to increase market share for Vivitrol, our investigation found, Alkermes leverages another common misconception about addiction and recovery to influence policy in its favor: the idea that medication-assisted therapy should be used on a short-term basis. At the end of 2016, Indiana released new guidelines for addiction treatment providers in the state. The guidelines were created as a result of two bills, and according to testimony, lobbyist Steve McCaffrey was instrumental in drafting both. If a patient tests positive for a controlled substance, the new guidelines say that the doctor needs to consider adjusting the treatment plan with the "goal of opioid abstinence." But pushing for opioid abstinence can be dangerous, according to federal health agencies and the American Society of Addiction Medicine. The U.S. Department of Health and Human Services puts it this way: "[A]ll forms of withdrawal are less effective compared with ongoing opioid maintenance." The Indiana guidelines even contradict themselves. The document borrows verbatim from ASAM's treatment guidelines, saying that if a patient is using another opioid, the doctor should consider increasing — not decreasing — the buprenorphine dose, so the patient feels less desire to use additional opioids. "If you prematurely stop the medication-assisted treatment, then you have a super high risk of relapse and death," says Waller. He says addiction is a chronic disease, needing ongoing treatment, and the medications help regulate it. "I don't know why we seem to have such a fascination with a need for [patients] to be fully off of treatment," he says. Pushing for opioid abstinence, however, could help Alkermes sell more Vivitrol, since the drug is the only non-opioid treatment for opioid addiction. The language used in Indiana recommending treatment with a "goal of opioid abstinence" is mirrored in a new Pennsylvania bill. The bill would require office-based treatment providers (which means doctors who prescribe buprenorphine) and methadone clinics to conduct a "periodic review" of their patients' treatment plans and to consider "the possibility of opioid abstinence." The measure's author, state Sen. Camera Bartolotta, acknowledges she spoke to Alkermes. "I've talked to them," she says. However, she denied that it would benefit a specific medication. "This is not a pharmaceutical bill. This is a treatment bill." Another bill introduced in Pennsylvania would require buprenorphine prescribers to pay $10,000 for a license to operate. Waller says it is troubling to see Alkermes promote legislation that makes it harder for patients to get access to other FDA-approved treatments. "It's just unethical," he said. But the company's tactics don't exist in a vacuum. Pharmaceutical companies routinely try to undercut their competitors and promote their own products, says Adriane Fugh-Berman, who studies pharmaceutical marketing at Georgetown University. She added that some drug makers have also used legislation to gain an edge over competitors. What Alkermes appears to have done, Fugh-Berman says, is combine those strategies. "That is not pro-public health. That is anti-public health," she said. Despite repeated requests, Alkermes did not make any of its leadership available for an interview for this story. In an email to NPR and Side Effects, company spokesman Henson wrote: "To suggest that we have any more authority or influence than any other company, advocacy group or treatment provider that cares about this disease just isn't fair." Alkermes' success in influencing state policy comes from the way it plays into people's pre-existing beliefs about addiction. 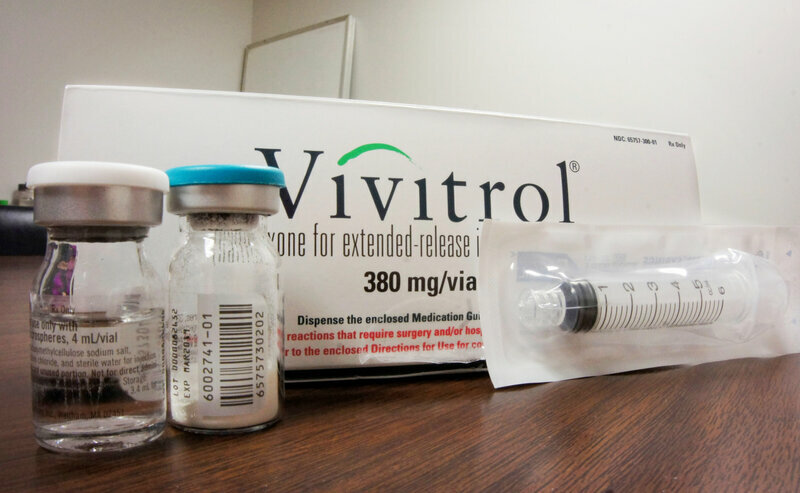 "When you talk about Vivitrol or naltrexone, you're talking about working more towards abstinence," said Davisson, the author of one of the pro-Vivitrol bills in Indiana. "A lot of people are more comfortable with that type of language." 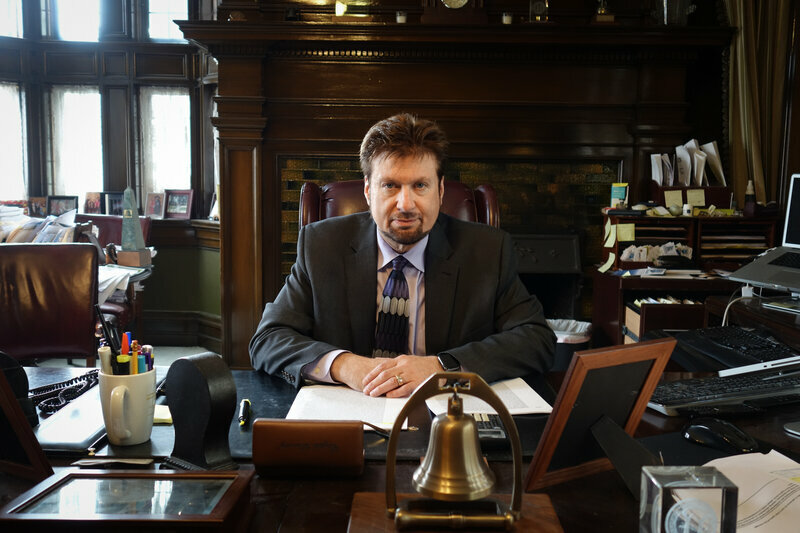 When told about Steve McCaffrey's lobbying for Alkermes, Davisson said the arrangement didn't bother him, even though he was unaware of it when he worked with McCaffrey on the bill. Other lawmakers who worked closely with McCaffrey were also unconcerned about his ties to the company. In its emailed statement, Alkermes says it favors access to all treatment options, a sentiment McCaffrey echoed: "I would always agree that we want open access to whatever treatment is available according to the physician." McCaffrey argued that as policymakers become more accustomed to using Vivitrol to treat addiction, they will eventually become more open to supporting treatment with buprenorphine and methadone as well. After an initial interview, McCaffrey did not agree to talk further. Earlier this year, McCaffrey released a list of addiction-related bills that Mental Health America of Indiana worked on in 2017. The bills insert "nonaddictive medication" into state law seven times. All of them were signed by the governor. But policies favoring Vivitrol can have drastic consequences for people like Nate and Angela Turner, who want to overcome their opioid addiction but struggle with long wait times for access to medication-assisted treatment. "Doctors got us on the the pain medication," said Angela, "and got us on the drugs. A doctor should be able to help us." "We actually need these things to help us back into society and to be productive," said Nate. With millions of people addicted to opioids, the people treating addiction want to reduce the pain, suffering and death associated with the disease. To do that, they need whatever medications are available, not just one. You can find the full article by Jake Harper here.